"I have powerful subjects. That's right, just like Caesar, the emperor of Rome, I combine them to receive great strength." "The righteous spirit is everlasting and blazes up even higher! Superior crossride! Ultimate Dimensional Robo, Great Daiyusha!" The national champion from two years ago, and the captain of Team Caesar. Kenji loves Roman history and models himself on Gaius Julius Caesar; it's for this reason that he's called "Koutei," the emperor of Team Caesar. Despite his public persona being based on the late dictator, his references to Caesar more often refer to the entire line of emperors named "Caesar" rather than Julius Caesar himself. 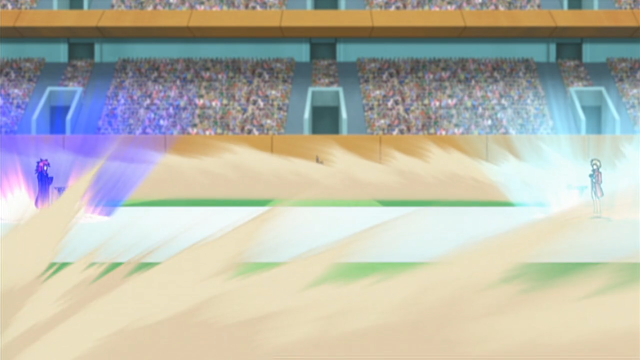 Kenji is the first person shown to fight Suzugamori Ren, facing him in the final match of the season's first national. Kenji is humiliated in the fight, defeated by an opponent that's still at grade 2. Humbled by Ren's Qualia, Koutei takes note of the one other team to score a win against Ren's team, and arranges to meet with them through their manager, Nitta Shin. At this training camp, Teams Caesar and Q4 form a powerful bond, working together to improve their decks in preparation for the second half of the tournament season. 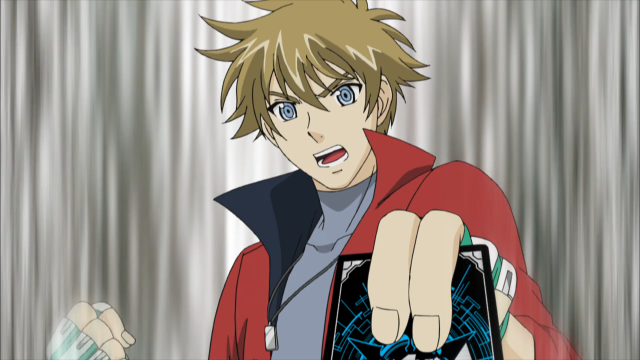 Having made friends with Q4's Kai Toshiki, Kenji makes his following appearance at the next national, where he eventually ends up pitted against Sendou Aichi. Though Kenji quickly recognizes Aichi's Soul Saver Dragon strategy and prepares accordingly to negate it, he isn't able to anticipate Sendou bringing out Alfred Early. Ultimately, Kenji loses the match, and sits out the remainder of the season on the sidelines. During the Asia Circuit chapter, Kenji goes on to participate in Tatsunagi Takuto's VF Circuit, renewing his position as Team Caesar's leader. While they come out as strong players in the Singapore stage, scoring several points toward their overall performance, Kenji's real time to shine is in the Seoul stage. Koutei eventually ends up in a rematch with his old rival Suzugamori Ren, where he demonstrates the skill that earned him his national title by initiating a superior crossride of the Ultimate Dimension Robo, Great Daiyusha while under the effects of their fight's "Stand 3" special rule. By focusing on creating a strong center line in addition to setting up his superior ride sequence, Koutei surpasses Suzugamori with Great Daiyusha's limit break and comes out as the only member of Caesar to win his match against Team NAL4. Following the events in Seoul however, Koutei chooses to retire from the competitive scene to attend school at the Singapore Institute of Technology, the same school as Team SIT Genius members Christopher Lo, Lee Hsien Loong and Fajr Ali. Although saddened by having to leave his team behind right in the middle of the Circuit, and plagued by the question of whether he even has a future at SIT while trying to compete with such young prodigies, Koutei chooses to make the trip regardless, vowing to not participate in any tournaments until his graduation. SDRD Biography: According to Bushiroad's April 1st website, in the Super Dimension Robo Daiyusha spinoff anime, Kenji's father commands the Earth Defense Organization "Caesar." Mitsusada is a first-year highschool student at Jigen High1, who loves robots and is obsessed with model kits. Yuri and Gai are his friends from childhood, and Ren recently transferred into his school. 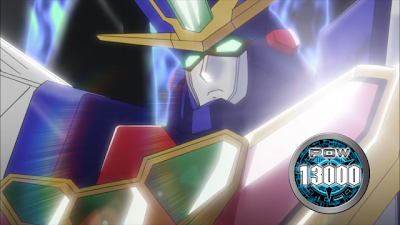 He originally mistook the robot Daiyuusha for a fragment of a falling space shuttle, and was saved by it from the Shadow Paladins at the eleventh hour by the Dimensional Robo. He later persuaded Daiyuusha to join his father's group. Kenji has an inner sense of justice that his new robot friend leads him to discover. Universal Notes: Koutei's surname, Mitsusada, is written using the kanji 光定. Because Japan's writing system was adopted out of China's, kanji have two readings, the Chinese reading and the Japanese reading. As Yuri explained in ride 26, the Chinese reading of Mitsusada is "Koutei" meaning "Emperor." Interestingly, the animation for his Great Daiyusha combination sequence shows Goyusha emerging from Daiyusha after purging his original armor components, suggesting it to be a new configuration rather than an add-on to Daiyusha itself. 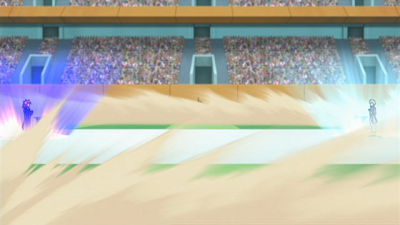 Koutei uses a Dimension Police deck, which initially has Workerpod Saturday as its starter. By ride 56 however, he has switched over to Enigman Flow, using the Enigmen line of cards to maintain a combination of grade security and hand advantage. His deck builds up toward Enigman Storm, which like Daiyusha before it, gains an extra critical when other units' skills are used to power it up in preparation for an attack. As a finishing move, Koutei brings out Commander Laurel, using the grade 1's skill to rest 4 units and stand his vanguard for an additional twin drive. The attack that follows is very nearly unstoppable. Kenji's second deck makes use of the combining Dimensional Robo units, patterned after the anime super robot boom, and off of the Brave series in particular. Accordingly, he uses the deck's skills to bring together three vehicle units with his first vanguard Goyusha at the center, creating the deck's GaoGaiGar analogue, Ultimate Dimensional Robo, Great Daiyusha. Like his previous deck, this one focuses on creating a powerful vanguard, utilizing the Dimensional Robo soul skills to create an unstoppable center line. 1. "Jigen" can mean "Dimension."